The image is striking. Fannie Lou Hamer, unaffected by the world around her, stares directly into the camera. There’s defiance in her gaze. There’s persistence in her gaze. And there’s a comforting look in her eyes that says everything, in the end, will be all right. 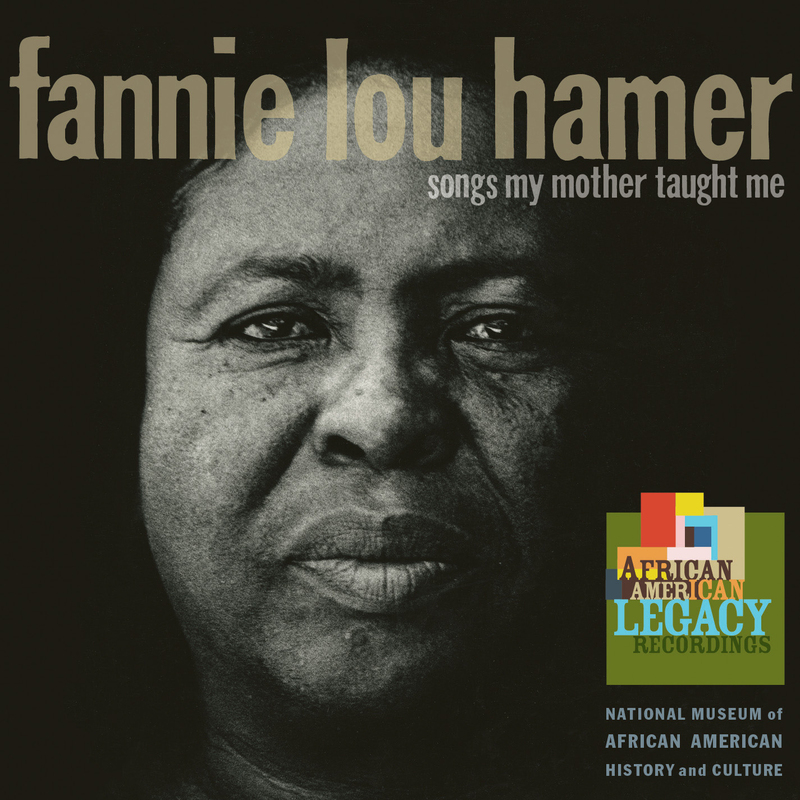 This is the cover of Songs My Mother Taught Me (2015), a collection of live recordings (recorded over the course of Hamer’s work in 1963) that chronicles her contributions as a motivating voice for Mississippi workers during the civil rights movement. The album, which was officially released as a cassette at the Smithsonian’s 1983 Voices of the Civil Rights Movement symposium, chronicles the soul and the perseverance of a woman who tried her hardest to save America from itself. Black women tried to save America on Nov. 8. As white men, white women and a smattering of minorities opted to push our country closer to an abyss, black women were unwavering. Ninety-four percent of black women voted for Hillary Clinton, the most uniform voting demographic in all of the election. And before those women, there was Hamer, a sharecropper, born the youngest of 20 children in Montgomery County, Mississippi. She became an activist in the 1960s, known for her bravery, her willingness to house and take care of most anyone, and, of course, for her unforgettable voice. Hamer would sing hymns and folk songs as she and her fellow activists approached voting areas, knowing they’d soon be arrested. I’ve heard my dad, Davis Dennis Sr., say it. I’ve heard Bob Moses say it. And any civil rights activist who stepped across the border into Mississippi would say it. Hamer was the backbone of the Mississippi civil rights movement. Hamer’s most iconic moment came during the 1964 Democratic National Convention (DNC). The Council of Federated Organization, a union of the Congress of Racial Equality, NAACP and the Student Nonviolent Coordinating Committee (SNCC), created the Mississippi Freedom Democratic Party (MFDP) with the goal of replacing the delegate seats occupied by the segregated Mississippi Democratic Party at the DNC. The MFDP had gained momentum due to 1964’s Freedom Summer, the murder of three civil rights workers in Philadelphia, Mississippi, and the 80,000 members who signed up to join the party. President Lyndon B. Johnson was terrified of the MFDP’s emergence, as its ability to gain seats would mean losing southern votes as he fought to defeat Barry Goldwater for president. And his biggest obstacle was Hamer. The Democratic National Committee allowed members of the MFDP to testify about their stances and desires to join the DNC in front of a national television audience. Johnson, however, couldn’t let that happen, especially once Hamer got on the mic. “The president, Lyndon Johnson, he’s not afraid of Martin Luther King’s testimony,” explained SNCC organizer Bob Moses in the PBS’ 2014 Freedom Summer documentary. “He was afraid of Fannie Lou Hamer’s testimony.” Johnson was afraid of Hamer’s voice — and her ability to relate, in first person, details of the inequalities she was facing in such a way that it would surely light a fire across the country. He wasn’t wrong. Hamer’s voice is the voice that galvanized action in Mississippi. The same voice that, when you listen to Songs My Mother Taught Me, will make you want to take to the streets and create change. And once America heard her talk, the country became enthralled by her fight for equality. There comes a point in every generation of African-Americans when we come to terms with how the evil of racism has infiltrated so much of American pathology. For Hamer and my father’s generation, that moment came during the 1964 DNC. Despite the fact the MFDP did every legal thing required to be seated and receive votes at the DNC, it was denied. The MFDP followed political protocol as set out by the Constitution — to the letter. Up until then, the rhetoric had been that if Americans worked within the system, then the system would reward them with rights they deserved. The 1964 DNC proved that to be a naive belief. And the civil rights movement was never the same. My father moved out of Mississippi soon afterward. He’s never forgotten that feeling of defeat and loss after the convention. And maybe that’s why he knew all along what was going to happen on Nov. 8. “It’s over. I’m pouring my drink. I know what’s going to happen,” he told me at 8 p.m. on Nov. 8 while Florida was surprising America by being more red than anyone had anticipated. He’d been here before. Now he was watching his son’s hopelessness begin to take shape. Listen to Fannie. Go listen to her. “Is this America?” She called it back then. When I ask him what music he listened to in the ’60s, when he felt the need to protest, he mentioned The Temptations and The O’Jays, but he always went back to Hamer. He talked about the way she’d bellow out hymns whenever times seemed most dire. She sang as she was arrested. She sang as she demanded seats at the DNC. And she sang loud enough for every jail cell to hear. The recordings capture the strength, grace and power of Hamer’s voice, and the way she used that voice to embolden an entire state to act. The photo on the cover was taken by legendary civil rights photographer Louis H. Draper in 1971. Draper became known for his photos of black life in Harlem, New York, and photo portraits of iconic black figures. Despite his tremendous work at archiving black existence in America, he spent the last 25 years of his life in relative obscurity, erased from the annals of great artists until his sister, Neil Draper-Winston, curated his work, posthumously rejuvenating his career. However, Draper’s work was highly regarded within the African-American community during the civil rights movement. So much so that Essence asked him to photograph Hamer for a profile. He stayed at her house for a week, taking hundreds of photos before settling on that closeup taken as she was saying goodbye to him at the end of that week. In her eyes, you see a woman who has seen the worst of America and kept on singing. It hit me sometime around 1 a.m. that Donald Trump would be our next president. Right around when Pennsylvania simply refused to produce blue counties. I grabbed my son from his bed to hold him while he slept, holding on to the increasingly fleeting idea that I can protect him. I was awakened by Kirk Franklin’s 1997 The Storm Is Over playing lightly from my wife’s phone while she got ready for work. It was time to talk about what was next. She listened as I laid out every doomsday scenario. Stop-and-frisks making it open season on us. Disappearing 401(k) plans. Recessions. Nuclear codes. She listened, never taking her eyes off of me the whole time. Whatever we have to do, we’ll do it. God’s got us. We’ll be fine. That moment of strength my wife had and has had since the day I met her was all I needed. She calmly walked to our daughter’s room to explain why the man who says mean things is our president. My wife pulled us together and carried us. Black women have been actively trying to make the world better and stop it from self-destructing since the beginning of American time. But too often their efforts get ignored, whether it be from other voters canceling out their ballots, or presidents pulling the plug on their impassioned pleas. I have a feeling they’ll keep doing this. But it’d be nice if they didn’t have too much longer. I go back to her eyes. When I see Hamer’s face on that album cover, I see her eyes. Defiant and strong. Worn and full of fight. On Songs My Mother Taught Me, Hamer discusses how her mother would sing to help the kids get through their day. One such song was I’m Gonna Land On The Shore. The message is simple and important — no matter how lost we may feel and how strong the current seems to move us farther away from our destination, we’ll always find the shore. I think about my wife telling our daughter that the storm will be over soon and the unifying theme of black women finding the strength to guide the rest of us to land while at the same time being the ones who have to fight the hardest against the tide.